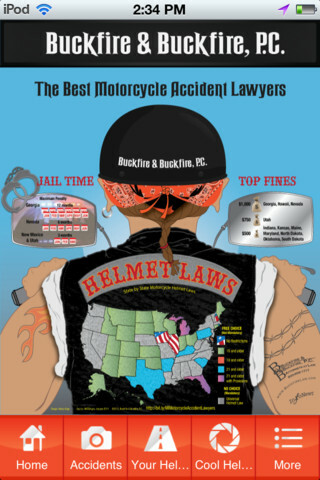 InfoNewt client, Buckfire & Buckfire, has seen so much success from their infographic online and the subsequent infographic wallet card program based on the Motorcycle Helmet Laws infographic, it prompted them to develop a dedicated smartphone app to provide the same information to motorcycle riders. You can see the original infographic here. Back in 2012, they created a simple plastic wallet card based on the infographic that anyone could request for free. They printed and distributed thousands of the wallet cards to riders and riding organizations across the U.S. This drove the interest and demand for a smartphone app that would be easier to distribute to riders across the country. Now anyone can download the free smartphone app on their own, which arrives instantly instead of a week later by mail, and Buckfire avoids the cost of printing and mailing the cards. The app also includes a number of additional functions like GPS bike finder, accident checklist, photo gallery of cool helmet designs and discounts at some of your favorite bike shops across the country. 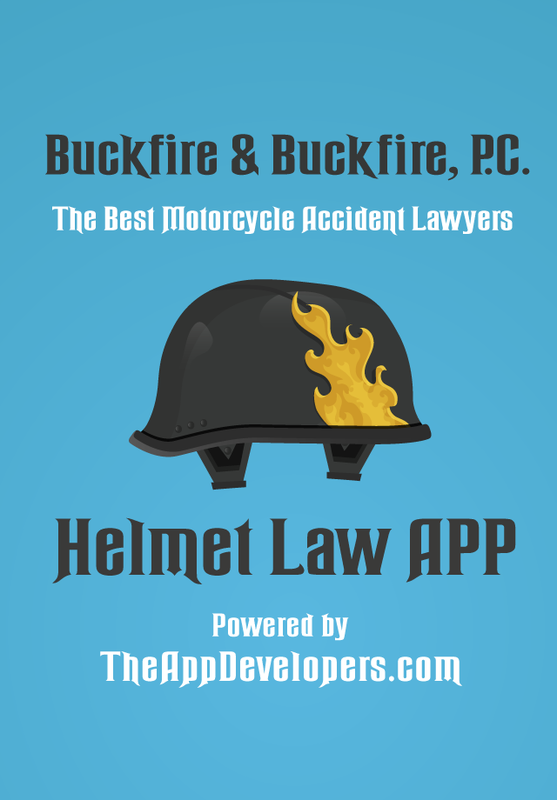 You can also watch a demo video of the smartphone app on the Backfire & Buckfire site. The app is now available for both iOS (iPhone, iPad and iPod) and Android devices.